On the evening of November 5th, 2004, Kenneth Coleman and Joseph Leary were both drinking with their respective groups of friends at Victor’s Tavern at the intersection of Wayne and Chelten Avenues in Germantown. What happened later that night would land Leary in the hospital and Coleman in prison for attempted murder. Now, new evidence about a lost videotape and the involvement in the case of a detective with a troubled history of misconduct may suggest his initial trial was unfair. One day later, on the evening of November 6th, a police officer arrested Coleman, who was held for trial on charges of attempted murder and aggravated assault against Leary and his sister Lorraine Patterson. At trial, Leary testified that Coleman hurled homophobic insults at him, and then later in the night began stabbing him without provocation. Leary’s testimony was generally corroborated by his sister and by a bar employee. Coleman, however, testified in his defense that a physical fight began when Leary, a larger man, blocked his way to the bathroom and grabbed him and that he struck Leary with a closed box cutter in self defense. His defense attorney also told the jury about Leary’s two prior assault convictions. Coleman also claimed that Patterson’s wound was accidental, occurring when Patterson tackled him. In spite of his claim of self-defense, the jury thought the prosecution’s case more credible and found guilty him of attempted murder and aggravated assault against Leary and aggravated assault against Patterson. In 2009, the Pennsylvania Superior Court affirmed the jury’s verdict. The verdict was just the end of the first stage in Coleman’s case, however. Shortly after trial, his defense attorney disclosed to Coleman that the police paperwork contained a note that the first officer on scene had recovered a surveillance tape from the bar. The defense attorney had not tried to obtain a copy of the tape before trial and did not mention it in court. And after trial, the prosecution denied that they had a copy. On this basis, Coleman initiated proceedings under the Post-Conviction Relief Act, a Pennsylvania statute that allows inmates to challenge their convictions under certain circumstances, including allegedly suppressed evidence and ineffective assistance of counsel. The first judge who heard Coleman’s claims dismissed them, but after another appeal to the Superior Court, in 2014 the appeals judges ordered a new judge to take a look at his claims. Last summer, Court of Common Pleas Judge Giovanni Campbell wrote the first full examination of Coleman’s PCRA claims. In his opinion, Judge Campbell found that the tape was recovered, and that Coleman’s original lawyer was ineffective for failing to seek a copy from the police and to discuss the tape at trial. However, that finding alone did not entitle Coleman to a new trial. According to Laurie Levenson, a professor at Loyola Law School, Los Angeles, defendants bear the burden of proving additional facts before that relief can be granted. Levenson, who leads Loyola’s Capital Habeas Litigation Clinic, told The Declaration that to obtain a new trial on the basis of suppressed evidence under the U.S. Supreme Court case Brady v. Maryland, there must be a reasonable chance that the jury would have come back with a different verdict had it seen the suppressed evidence. Judge Campbell also concluded that because Coleman had not shown that anything on the tape would have actually changed the jury’s decision, a new trial was not warranted on grounds of suppression of evidence or of ineffective counsel. Campbell found that Coleman didn’t even prove that the surveillance tape captured the fight with Leary, making a new trial out of the question. Coleman appealed this new decision, so the case is once again pending before the Superior Court. Recently, Coleman obtained an affidavit from Kenny He, an employee of Victor’s Tavern, and filed it with the Superior Court. 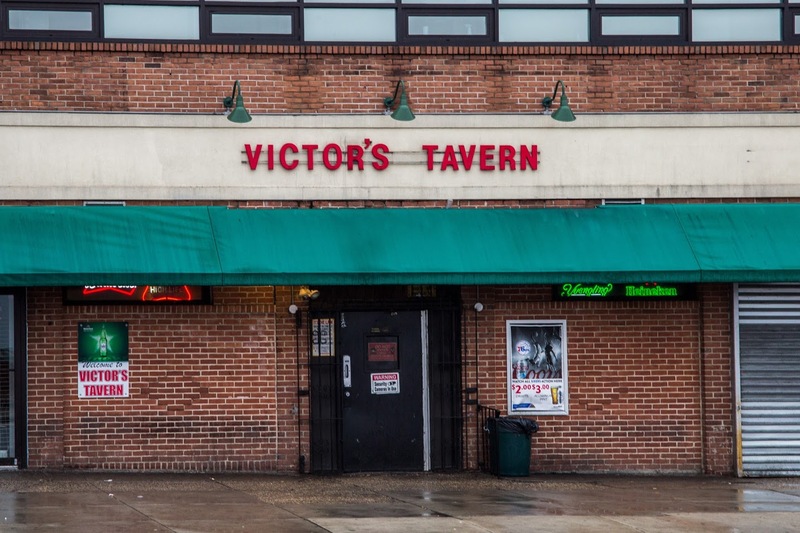 In that affidavit, which The Declaration reviewed and independently confirmed by speaking with He, the employee states that at the time of the incident, Victor’s Tavern had a security camera which would have filmed the area of the bar where Coleman stabbed Leary. The affidavit doesn’t end Coleman’s battle, however. The fact that the tape probably captured the fight doesn’t mean it’s exculpatory. In fact, in the appeal, the District Attorney’s Office argued, because all of the witnesses except Coleman had similar stories, the videotape probably would have shown the witnesses’ accounts to be true. The prosecutor in the original trial and the main detectives in the case testified recently that they had no knowledge of a videotape. Evidently, it was lost or destroyed shortly after it was recovered. As a result, Coleman would have to prove its contents by other means and his best shot at that is dead. Officer Seth Stellfox, who recovered the tape, died in a motorcycle crash in 2014. Additionally, the PCRA contains strict time limits. In order to even get this affidavit considered by a court, Coleman must show that he could not have previously obtained that evidence. Even if Coleman cannot meet the high burden of proving what was on a destroyed videotape, he may have another way to attempt to obtain a new trial. According to Levenson, a defendant can also get a retrial if they can show that evidence which might have been helpful to their defense was destroyed in bad faith. In his opinion, Campbell found that the videotape was “potentially useful evidence,” but concluded that Coleman had shown no evidence of bad faith. However, The Declaration has discovered that one of the detectives involved in Coleman’s case has a long history of abusing his authority to win cases. According to police paperwork, Detective James Pitts, who was assigned to the Northwest Detective Division at the time, prepared the formal charging statement against Coleman and was also listed on the investigation report as an officer that the DA should summon to testify. Pitts has not been questioned in Coleman’s PCRA case. Pitts has been the subject of at least seventeen Internal Affairs investigations during his time with the Department, according to papers filed in court by attorney Paul Hetznecker. In at least two of those cases, Internal Affairs investigators determined that Pitts abused his authority to further investigations or prosecutions, these papers show. These filings were made in a case where Hetznecker’s client Nafis Pinkney is suing Pitts and another police officer for allegedly forcing him to make a false confession in a murder case. Pinkney was quickly acquitted by a jury when the case eventually made it to trial. At least three other homicide cases have fallen apart as a result, in part, of Pitts’ misconduct. In 2014, a judge dismissed charges of vehicular homicide against Kareem Alleyne for the death of off-duty Philadelphia Police Officer Marc Brady. In 2016, a civil jury found that Pitts and other detectives had violated Alleyne’s rights by minimizing evidence that Brady was stalking Alleyne over their relationships with the same woman and awarded Alleyne more than one million dollars. The City of Philadelphia is appealing the verdict. In 2010, a judge suppressed a confession given by murder suspect Unique Drayton to Pitts after he illegally held her in custody for 41 hours, destroying the prosecution’s case. And in 2012, Amin Speakes was acquitted of murder when the jury saw video evidence that he was far away from the scene of his alleged crime. Prosecutors had relied on a false statement obtained by Pitts to bring the case to trial. Hetznecker’s filing recounts the latter two cases and other instances where witnesses claimed Pitts coerced them. Levenson says that in order to get an evidentiary hearing and put witnesses on the stand in post-conviction cases, a defendant usually needs to show a judge that they have some objective proof that can be developed further. If Coleman can overcome procedural hurdles and put Pitts on the stand, it’s possible more information about the tape’s destruction could come out. In cases where a judge finds the police and prosecutors acted inappropriately by destroying evidence, Levenson told The Declaration, the appropriate remedy is generally a new trial with an admission of what the video would have shown. Philadelphia Police declined to comment on the case or on Pitts’ disciplinary record. Disclosure: Paul Hetznecker has represented The Declaration’s co-founder Dustin Slaughter. Dustin is currently on hiatus and played no role in writing or investigating this story. All information from Hetznecker comes from public filings he made in court.